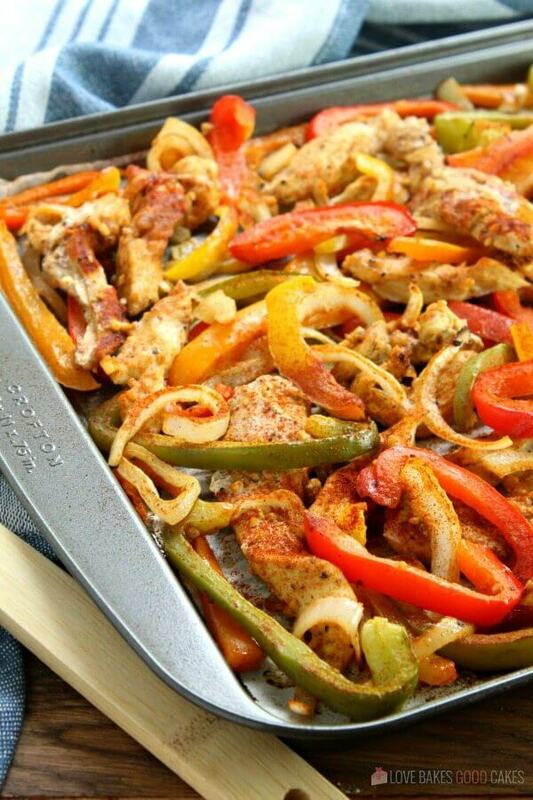 Get dinner on the table quickly with this Sheet Pan Chicken Fajitas recipe! 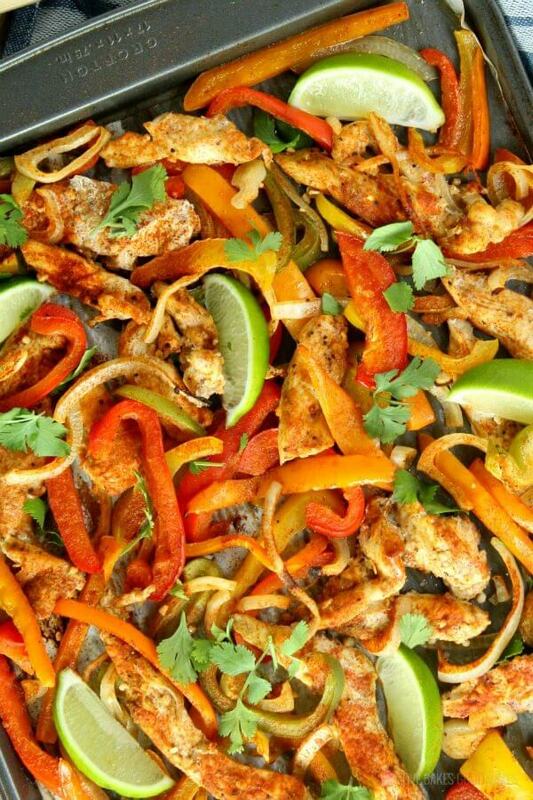 Tender strips of chicken, bell pepper, and onion mingle in a tantalizing array of Mexican flavors. 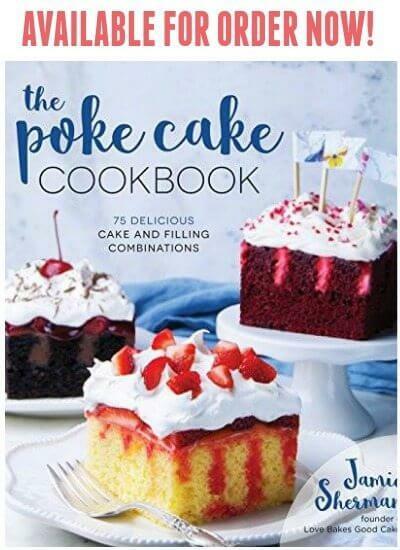 Serve with your favorite garnishments and (an optional) Margarita! 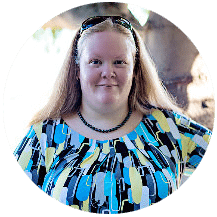 As many of you know, I am a huge fan of Mexican, Southwest, and Tex-Mex food. I could eat it every day, all day. Although I’m not exactly sure of the cuisine fajitas technically fall into, I’m going to guess that it’s more of a Tex-Mex dish. Regardless, they’re delicious and everyone should have an easy at-home recipe to make them! 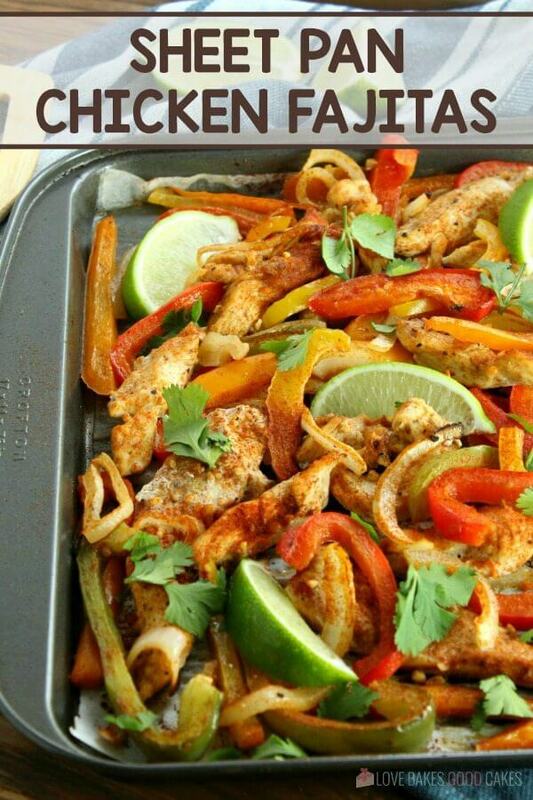 I used to order Chicken Fajitas all the time when we would eat out and I thought to myself that I could just as easily make this dish at home. Using a sheet pan makes this quick and easy. And, there is minimal clean-up! That’s always a win in my book. It’s perfect for a quick weeknight meal because while this is baking, I can be doing something else. You can make this dish go even faster by preparing your vegetables ahead of time. How do you fold and eat a fajita? It’s easy-peasy! 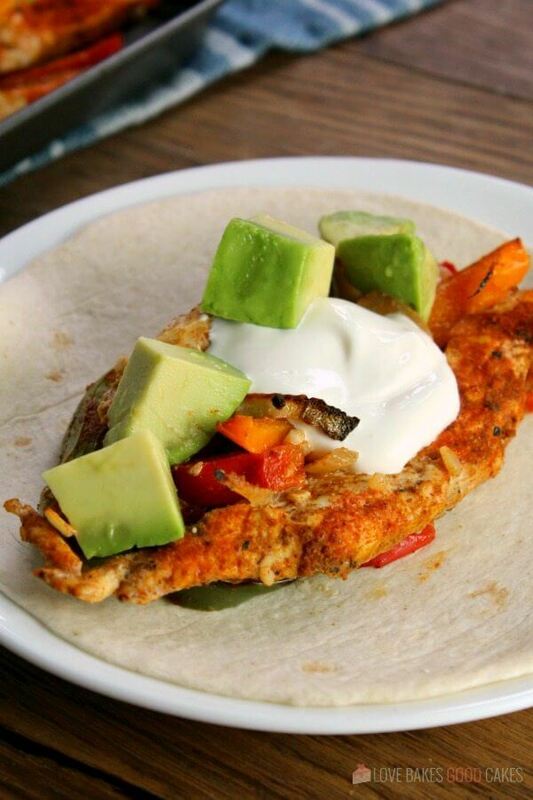 Place your fajita ingredients in the center of a warmed tortilla. Gently fold one side of the tortilla over the filling in the middle. Then, fold the other side of the tortilla over the middle. Pick up and eat out of hand. 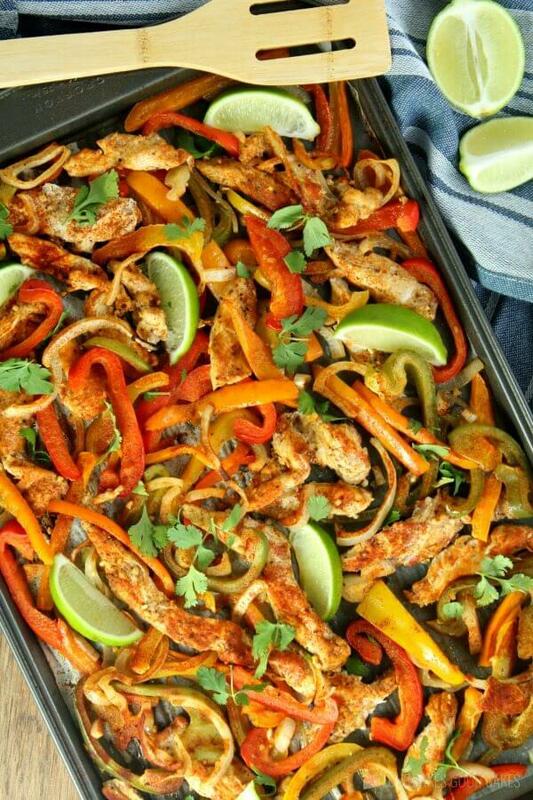 What else can I put on my Sheet Pan Chicken Fajitas? 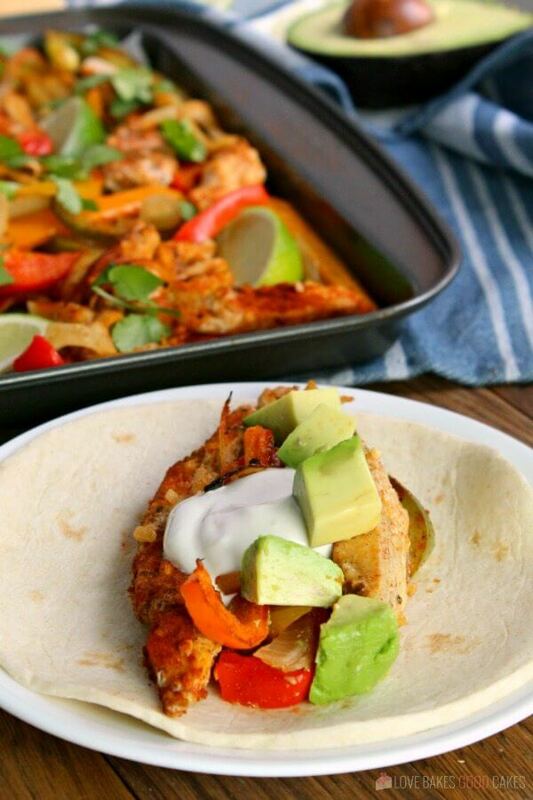 What are some great topping ideas for Sheet Pan Chicken Fajitas? 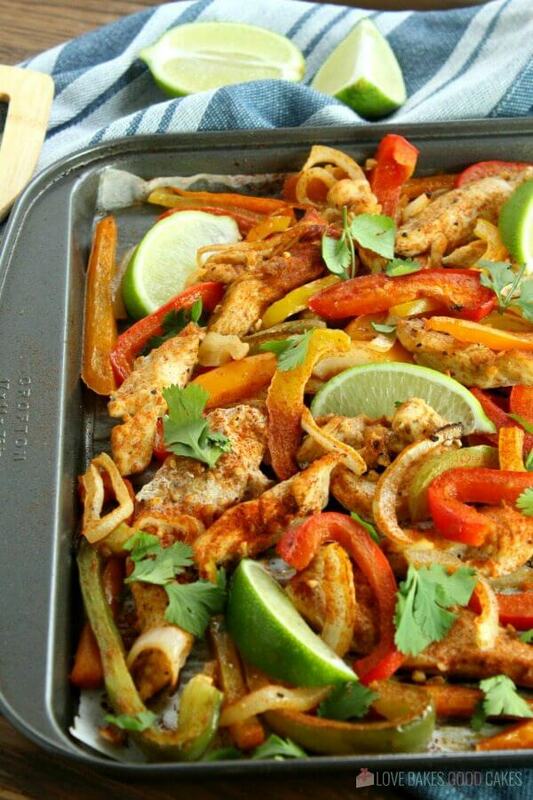 Some of our favorite toppings for Sheet Pan Chicken Fajitas are cheese (lots of it! ), sour cream, guacamole or cubed avocado, salsa or hot sauce, freshly squeezed lime juice, and fresh cilantro. Of course, feel free to experiment and use things that speak to you. I’ve been known to add Mexican or citrus-flavored rice, or beans, to my portion of these fajitas. One of my kids likes to add Ranch dressing. Do your thing! 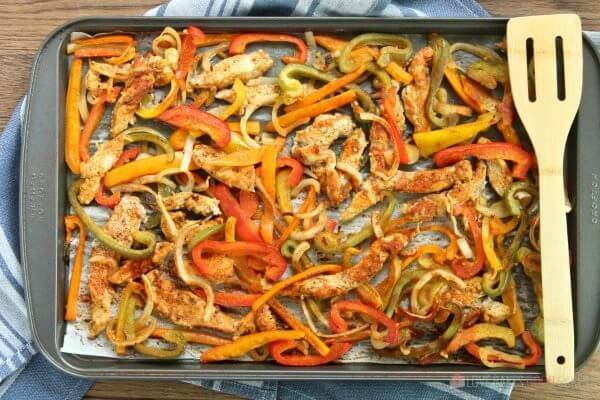 What is a good side dish for Sheet Pan Chicken Fajitas? Preheat oven to 400°F. Grease a large baking pan or line it with parchment paper. 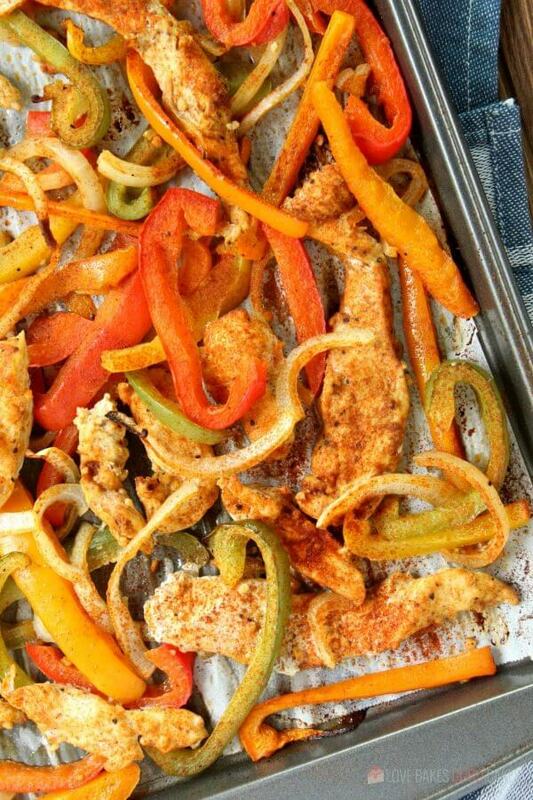 Spread the sliced bell peppers, onions, and chicken strips evenly onto the prepared pan. Sprinkle the garlic evenly over the top. Bake for 20-25 minutes, or until chicken is thoroughly cooked. Immediately after removing from the oven, drizzle with lime juice and sprinkle the chopped cilantro over the pan. Toss with clean tongs. 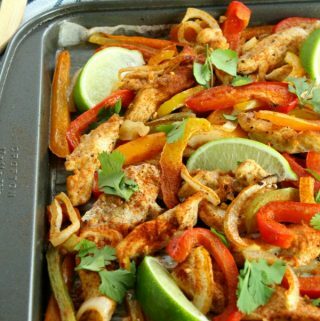 Assemble fajitas and fill with desired toppings, such as cheese, salsa, sour cream, or guacamole. Use any color of bell peppers you have on hand. Make sure everything is cut about the same size so it cooks in the same amount of time. 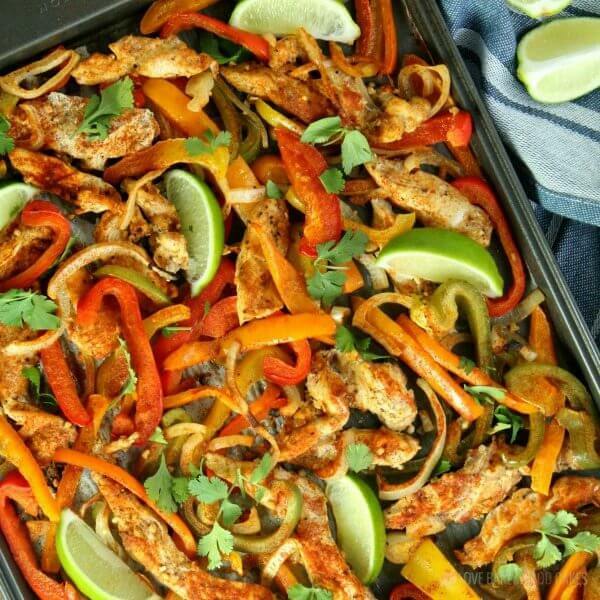 I lovethe ease if sheet pan suppers and I never turn down fajitas! This is going on the menu! Great recipe, easy to make after a day of work. Just added a little cayenne. Husband liked it, I will definitely make again!